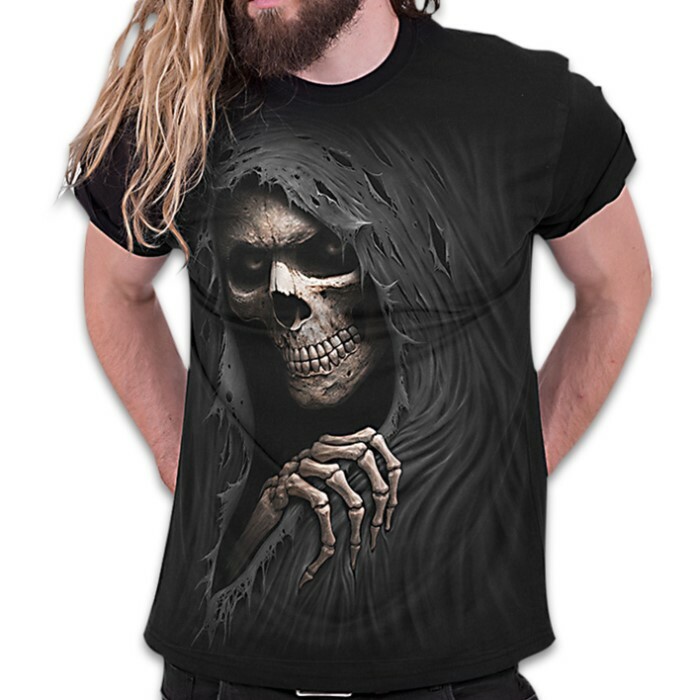 Grim Reaper Black T-Shirt - Top Quality 100 Percent Cotton Jersey, Original Artwork, Azo-Free Reactive Dyes | BUDK.com - Knives & Swords At The Lowest Prices! Through the tattered and torn fabric of his death robes, the Grim Reaper’s grotesque face peers out from the shadow, cold and unmoving with sunken eyes that have seen an eternity. The fabric of time wears thin. 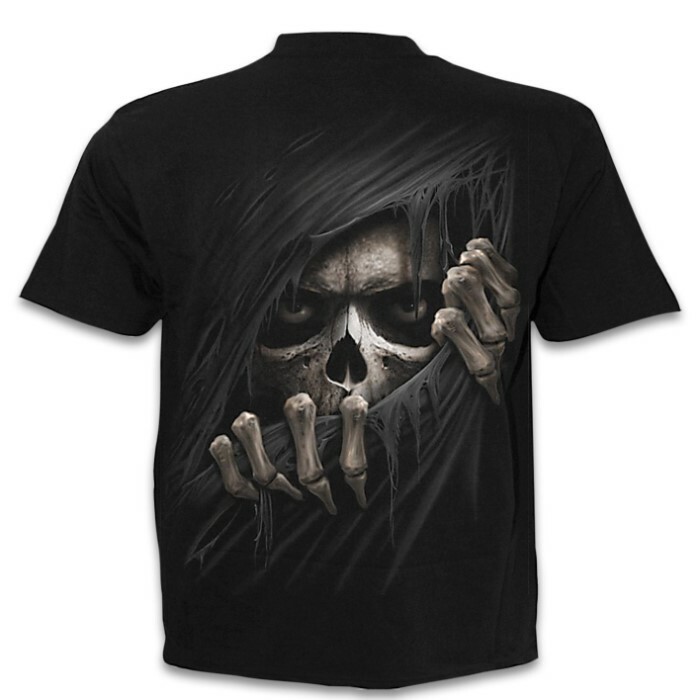 The shirt features original, vivid artwork with intricate details that is printed on both the back and the front of it. 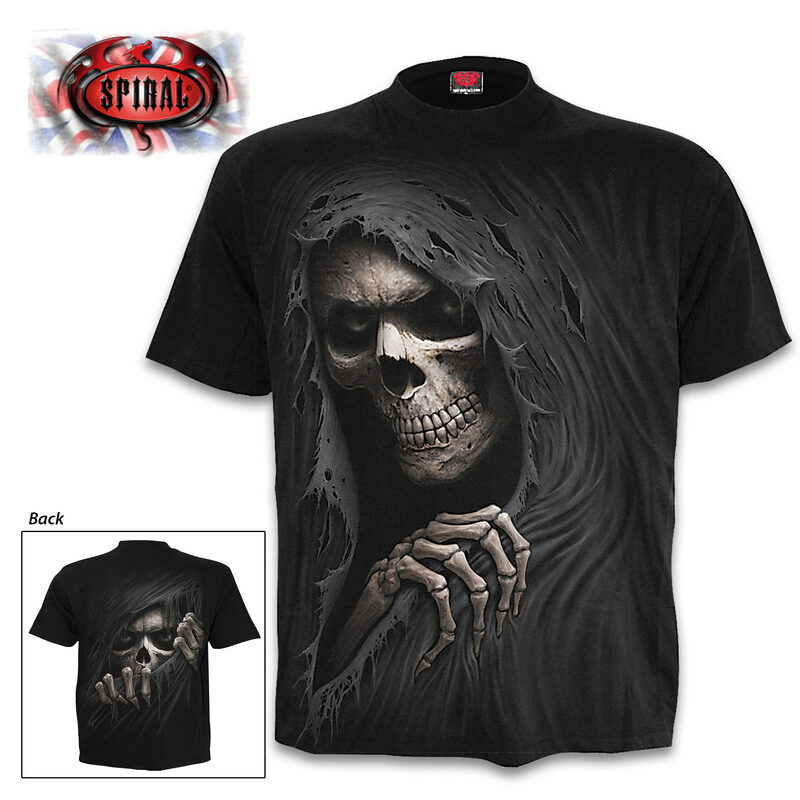 On the front is the Grim Reaper staring out from the tattered shirt itself and, on the back, is another portrait of the Grim Reaper staring out through rips in the shirt. The shirt is made of top-quality, black 100% cotton jersey that is printed using skin-friendly, Azo-free reactive dyes. Add this officially licensed long-sleeved t-shirt to your closet and you’ll find yourself wearing it all the time! The black short-sleeved shirt is available in sizes large, 1XL and 2XL.